The Steam museum has a comprehensive collection of steam related exhibits including two Fowler traction engines, an 8hp and a 5hp. The 8hp engine was imported from South Africa about 1902 after service in Boer War. It spent its working life around the Nelson back country. 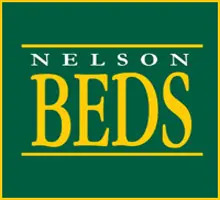 In 1983 it was donated to Pigeon Valley by Mr and Mrs Chambers. 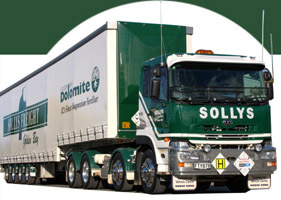 It is used on Steam Up days to tow a trailer giving rides, and occasionally powers a chaffcutter and a hay baler. 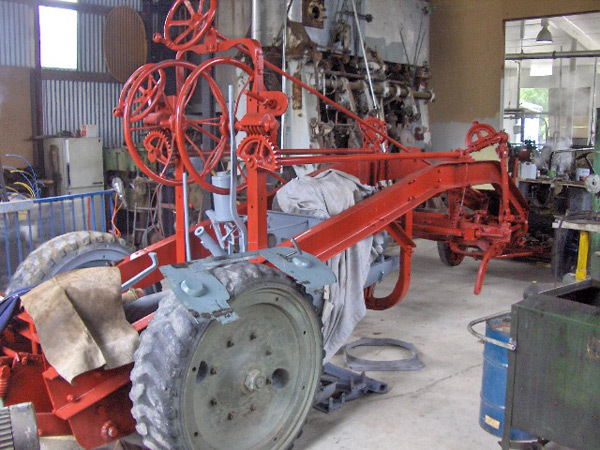 The 5hp is currently undergoing restoration. 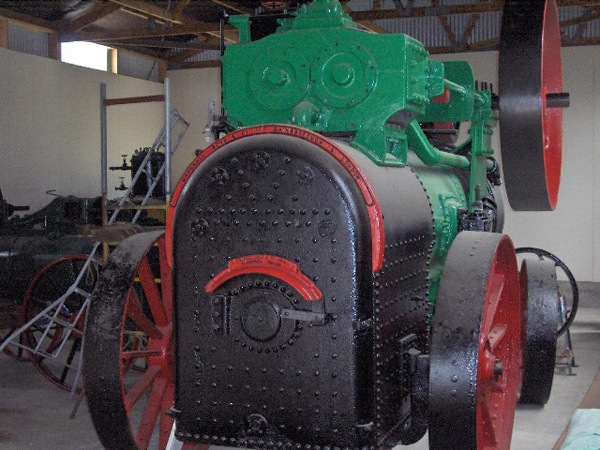 A stationary boiler is used to supply steam to working exhibits, some of which were used in Nelson industries. 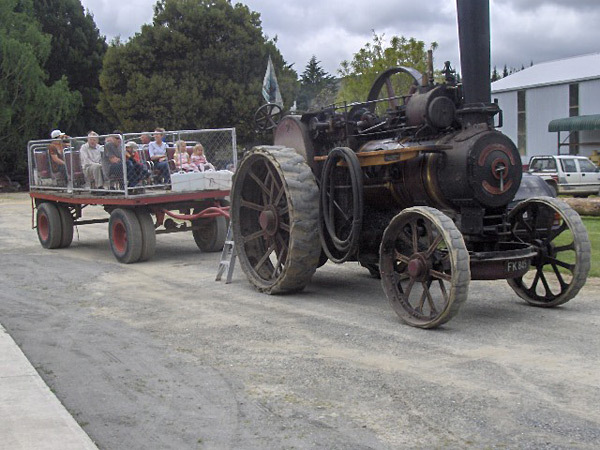 Static displays include ‘Big Betsy’, a 28hp portable Marshall steam engine believed to be the biggest and only one in NZ. Also on show is an 82hp Scotch Marine boiler used on the Wellington wharf by BP to drive pumps to refuel ships. Many more steam related items are awaiting restoration, with those that are too far gone being tided up for display. 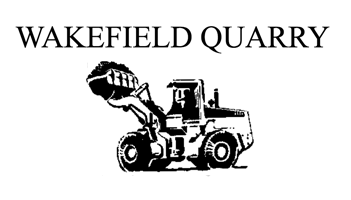 Also in the collection are a number of tractors, old diesel engines and bush locomotives as well as a variety of old hand tools. 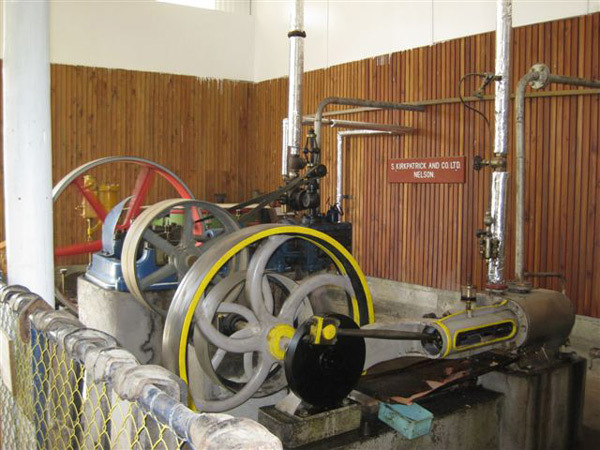 The Steam Museum has a Steam Up day on the 1st Sunday in the month (except mid winter). On Steam Up days free rides are given on the trailer pulled by the traction engine and on the bush tramway. Special Steam days can be arranged for interested groups and tours.